New Delhi, India, November 30, 2017- SHRM India’s National PSU conference 2017, the first ever HR Conference for PSU’s, gets underway at the SCOPE Complex, New Delhi today. In this two day event, HR honchos of PSU’s and corporates will discuss on how to bridge the gap between business and HR, transforming Human Resource Solutions into a strong business partner of the future. The event was off to a glittering start with a rendition on “Pray for India” by the children of Asha Deep Foundation which was followed by a welcome address from Ms Achal Khanna, CEO, SHRM India. Addressing the conference eminent speakers such as Dr. UD Choubey, Director General, SCOPE, Ved Prakash, CMD, MMTC; Dr. Madhukar Gupta, Additional Secretary, DPE, highlighted the contribution of PSU’s to nation building in India and that the contribution of PSU’s is not limited to the GDP but also has a deep impact on national security, self-reliance, regional equality and employment opportunities. The Keynote address by Prithvi Shergill, former CHRO, HCL Technologies, deliberated on the multi-dimensional challenges facing HR today and how by consistently focusing on keeping the employees first a sustainable and profitable organization can be achieved. The key here is to be consistent as seemingly simple changes can take years to be implemented and show any results. Skill Imperative: Creating a Learning Organization; Accelerated Leadership Development, Business Sustainability: Towards a Disability Inclusive Agenda ; Diversity: The Indian Perspective, were some of the interesting panel discussions happened today at the conference. 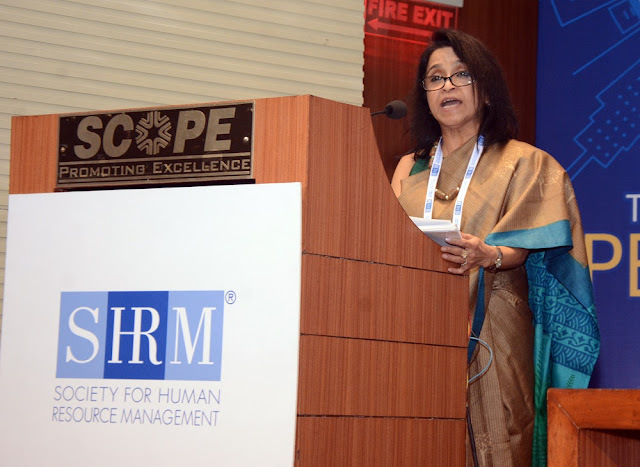 “Providing a platform for networking and sharing of global best practices amongst PSU’s so as to strengthen HR into an effective business partner is the primary purpose of this event and I am happy and confident that this is a good start for us”, she added. Photographer, Forbes 30 under 30 2016 were other highlights of the day.